Police Retiree Details – There was a prior council motion to allow retired police officers to do special details. This response includes proposed Special Legislation modeled on that in effect in Cambridge. Homelessness and Sustainable Housing – There was a prior council motion asking the City Manager to present the council with a 10 year action plan to address homelessness and housing. In this response, the City Manager has decided to create a City Manager’s Task Force for Sustaining Housing First Solutions that is modeled on a similar program in Worcester. Bike Sharing – A prior council motion asked the manager to investigate creating a bike sharing program in Lowell. This response says that a contract has been entered into with a company called VeoRide to provide such service which will launch at the start of April. 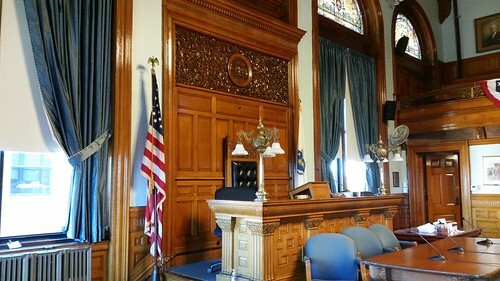 Community Preservation Act – In response to a council motion regarding the possible adoption by the city of the Community Preservation Act, the City Solicitor has prepared a vote for the city council which, if passed, would cause the question of adoption of the CPA to appear on an upcoming city election ballot. The council is expected to refer this to a council subcommittee. COUNCILOR Elliott – Req. City Mgr. evaluate options for increase oversight of human resource and finance functions between school and City departments. COUNCILOR Elliott – Req. City Mgr. have Transportation Engineer provide report regarding possible Lyft and Uber drop off/pick up locations in downtown on nights and weekends. COUNCILOR Elliott – Req. City Mgr. provide a report regarding zoning requirements and police activity at the “Edge” apartment complex. COUNCILOR Elliott – Req. City Mgr. have DPD report on the progress of the Tanner Street Economic Development Area/Realignment Project. COUNCILOR Nuon – Req. City Mgr. have proper department provide a traffic analysis of all neighborhood business districts; aim to better understand parking demands and also determine whether the City has or can invest in traffic calming measures (speed bumps, bump outs, pedestrian crossing, plantings) for these areas. COUNCILOR Nuon – Req. City Mgr. have the Economic Development Department report on their most recent outreach efforts to neighborhood business districts; if no recent efforts request implementing more outreach efforts. COUNCILOR Nuon – Req. City Mgr. have the proper department organize by subjects and dates the documents that appear on the City’s website and delete documents that are no longer relevant; further, implement a more efficient search engine with proper key words so that documents are easier to find and review website regularly for needed updates. COUNCILOR Cirillo – Req. City Mgr. hire a replacement for the vacant position of Administrative Assistant at the customer service station in the lobby of City Hall. COUNCILOR Cirillo – Req. City Mgr. provide an update to Council regarding status of the LOMR process with FEMA.